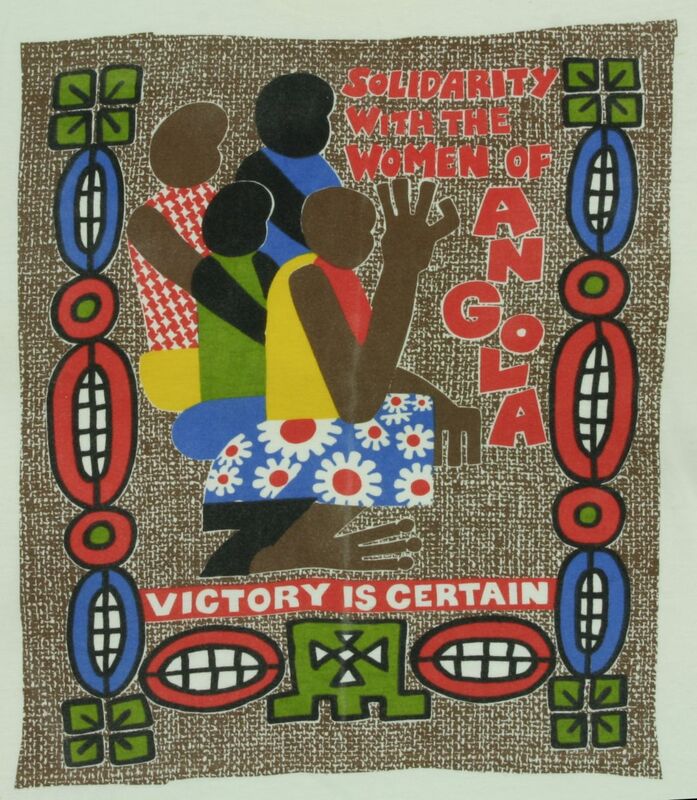 T-shirt based on an original design from a wall hanging by Angolan artist Marcela Costa, and royalties went to the Organization of Angolan Women (OMA). 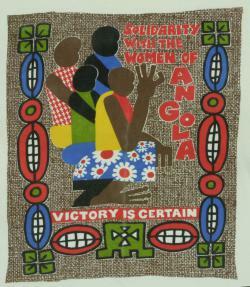 AA Enterprises also produced a set of greeting cards using Marcela Costa's designs. 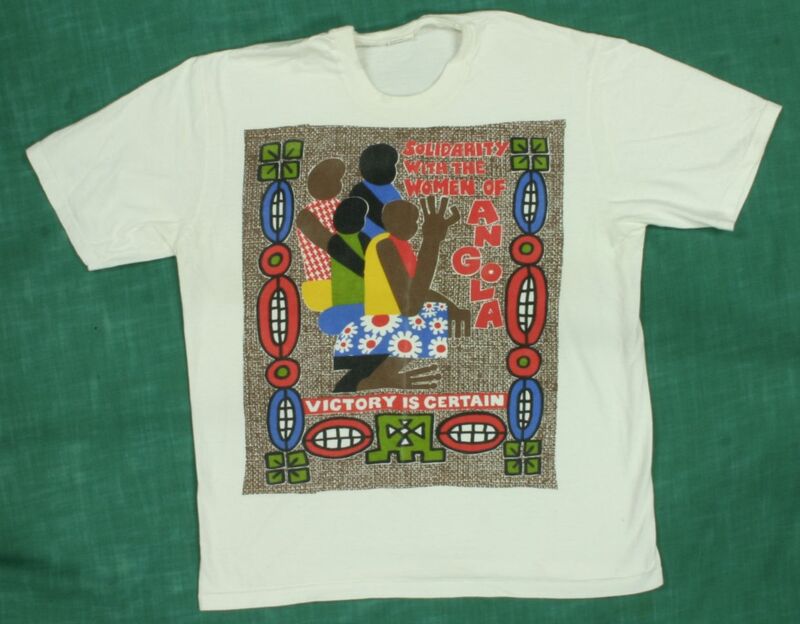 The T-shirt was produced in early 1988 for the March Month of Action in Solidarity with the Front Line States organized by the Anti-Apartheid Movement. It first appeared in the AA Enterprises Summer 1988 catalogue. This T-shirt was distributed in the United States by the Mozambique Support Network. It was included in the MSN "Books and Gifts" catalog that probably was published in 1990 (available on this website).